This is quite a spicy dish where you really need the cucumber salad to offset the heat a bit from the Dan Dan Noodles. So plan on making it as well. 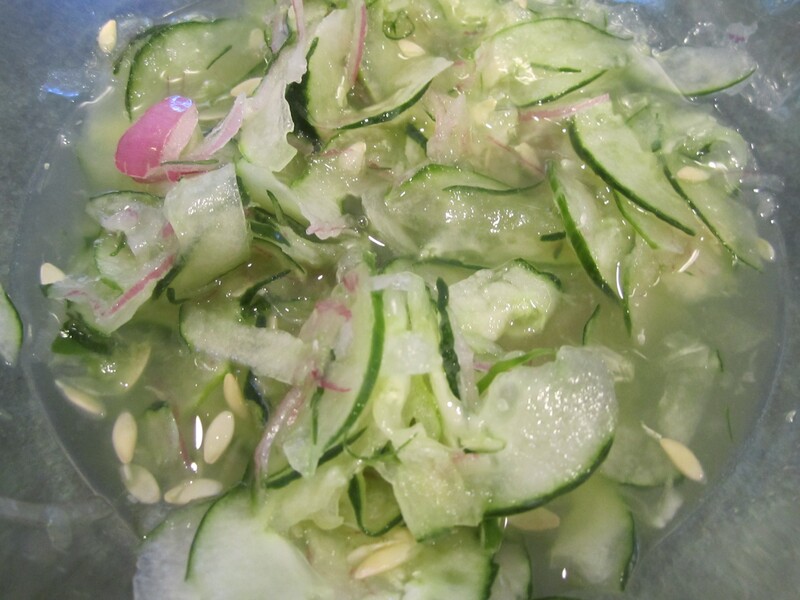 Having a mandolin slicer would be ideal for cutting the cucumbers. But alas, I don’t have one. I used to have this guillotine type slicer inherited from my Mom but cut myself on it so many times, I threw it out. For this recipe I used one side of my box grater that has 3 slicing blades on it. Not ideal but it gets the job done: you need super thin slices for this. I sliced the red onion on the box grater as well, ditto on the super thin. I have a confession to make: I use “cheat” foods for this recipe with the garlic and ginger. The reason for this? I am lazy. So feel free to get a chunk of ginger and quite a few garlic gloves to achieve the quantity in the recipe. 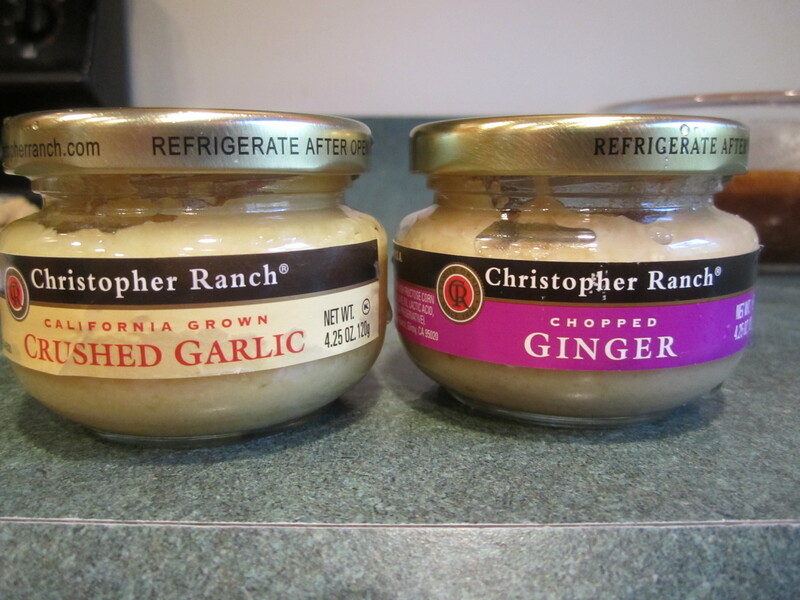 If you are interested in participating in my “cheat” food, I get Christopher Ranch brand in a jar, already minced and chopped. See the picture below. Place all ingredients in a medium glass bowl. Stir to combine. Cover with plastic wrap and place in refrigerator. It should be nice and cold by the time you are ready to eat. 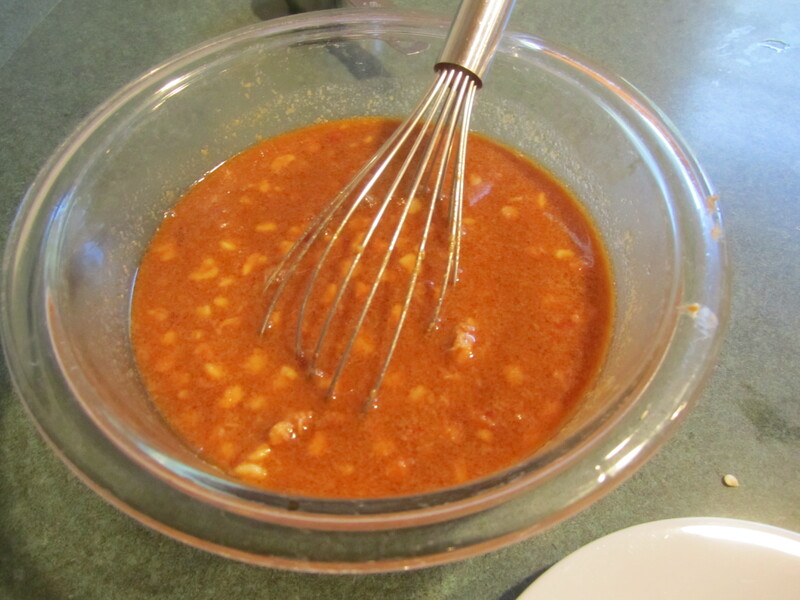 Combine first 7 ingredients in a bowl (sherry through sesame oil). Stir with whisk until combined. Set aside. 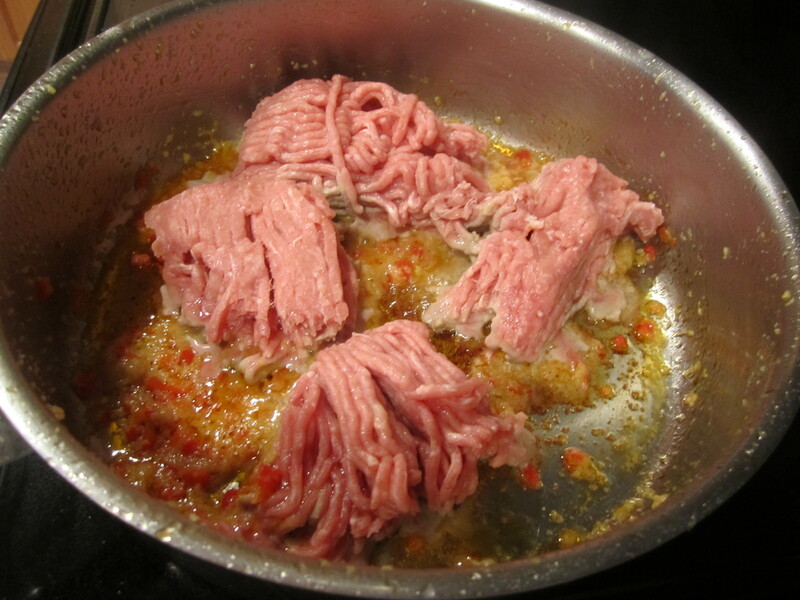 Prep for your spaghetti by putting a large pot of water on your burner at medium. 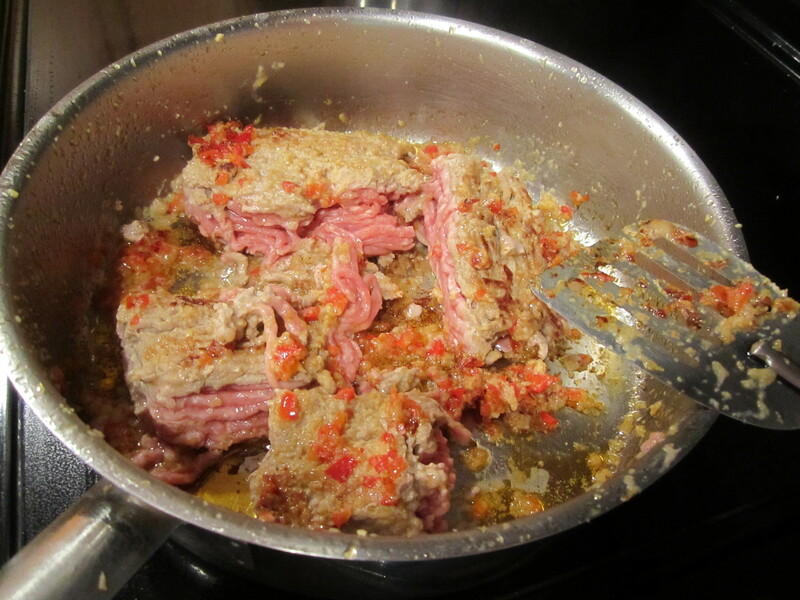 In a large skillet over medium high heat, add olive oil and then saute red pepper, ginger and garlic for about 30 seconds. 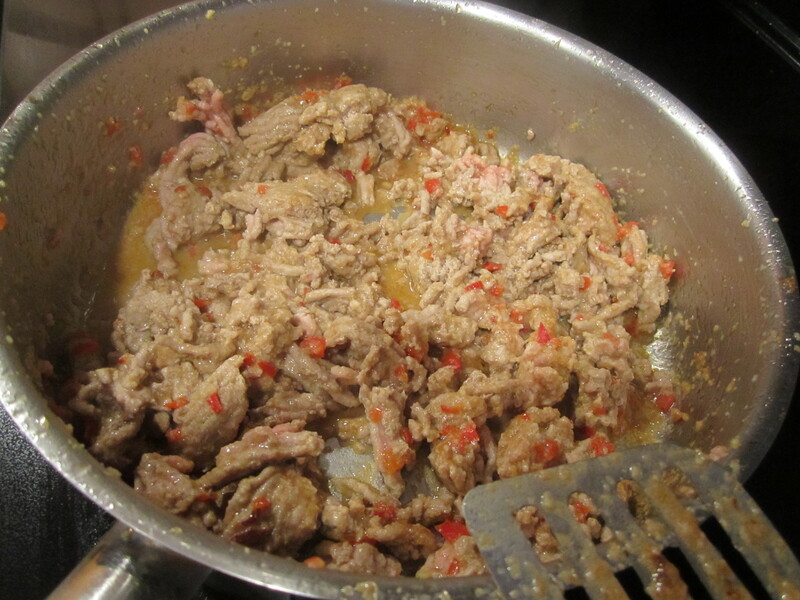 Add turkey in large chunks, reduce heat to a little above medium. Cook turkey chunks on one side for 3 minutes until nicely browned. Turn turkey over and brown on the other side for 3 minutes. Then break up turkey and cook for another 2 -3 minutes until almost cooked through. Turn up heat on large pot of water to high. Add sauce to turkey, stirring to combine. 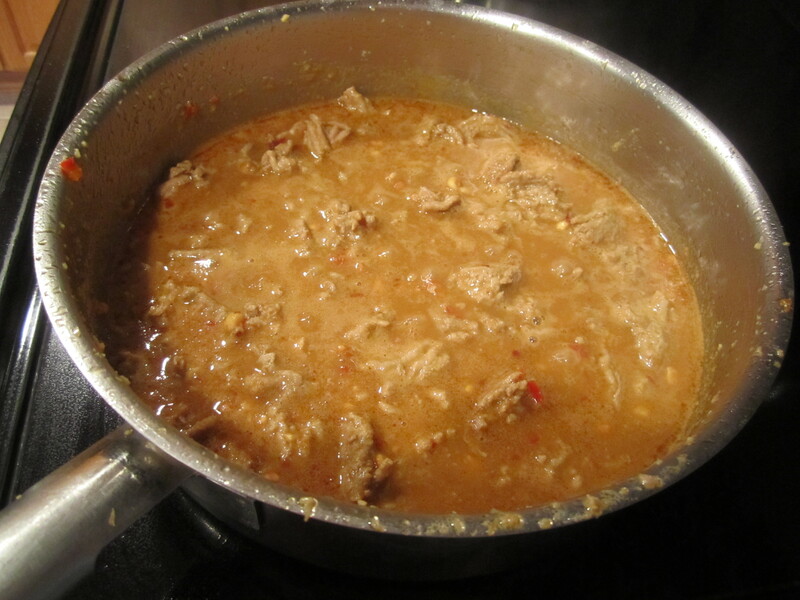 Simmer meat sauce for about 5 -10 minutes until turkey is cooked through and sauce thickens. 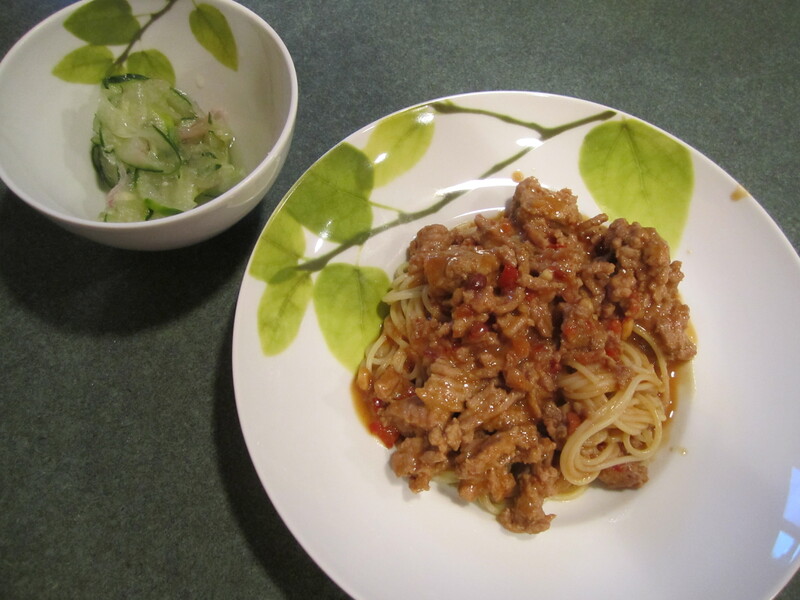 Spoon meat sauce over cooked noodles. Serve with Cucumber Salad.